I went to Iloilo in the Philippines on my medical elective in March 2018. I was incredibly nervous going into the trip. I’d never travelled alone before, certainly never to the other side of the world. But I needn’t have worried — Work the World made the whole process smooth, from booking the elective itself through to the time I landed. I chose the Philippines because I knew I wanted to go to Southeast Asia. It’s an area I’ve traveled a lot to with my family, and I love the food and different cultures. I’d never been to the Philippines, but had recommendations from my parents so decided to go for it. Work the World were amazing from the beginning. We first spoke to work out what I wanted from the elective itself and to see if Iloilo would be the best place for me. I chose my elective place quite late, but with everything being organised for me that didn’t matter. 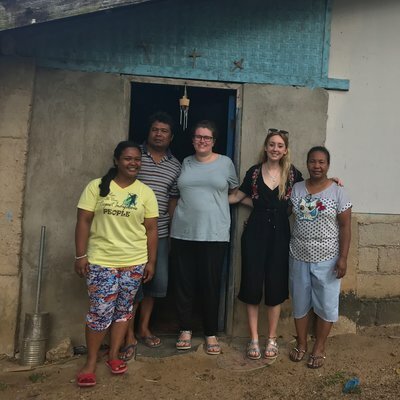 It was great to know I was going into a safe and secure accommodation, especially knowing I’d be travelling alone to the other side of the world. The Work the World house was truly a home from home. The accommodation was exactly as I expected. It took a while to get used to the heat, especially at night, but there were plenty of fans to cool us down. The shared rooms were kept clean, and it was nice being thrown straight in with a group of fellow students rather than being isolated in individual rooms. I shared a room with some students who were nearing the end of their time in Iloilo. It was great to hear about their experiences and get advice on the placement hospital, as well as on places to go and things to do. Within an hour of arriving, I’d already been invited to Boracay for the weekend. The food in the house was amazing. The catering team were amazing, and I was genuinely gutted after missing out on meals after long shifts. Karaoke and BBQ nights on Thursdays were also a particular highlight — the food was great, and a few drinks and some singing really brought everyone together! Following my initial calls with Work the World and hearing tips from the other students, I felt prepared for the my hospital placement. But nothing could have truly prepared me for just how different it was. I chose to focus my attention on anaesthetics and internal medicine. As it turned out, I enjoyed anaesthetics so much that I didn’t want to leave. 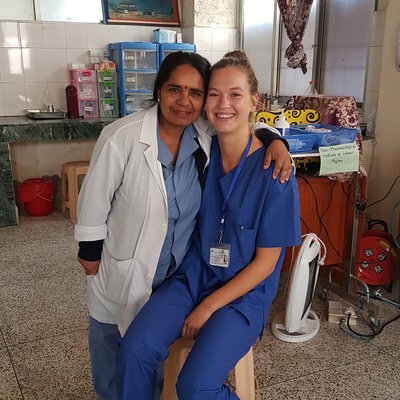 Both the Work the World team and the team in the hospital were flexible, allowing me to stick with anaesthetics for my full five-week placement. During my time on placement, I learnt so much and saw lots of interesting cases you just don’t see back home. I compared and contrasted practices and listened to to doctors explain why they did things the way they did. It really made me think about best practice and utilisation of resources. 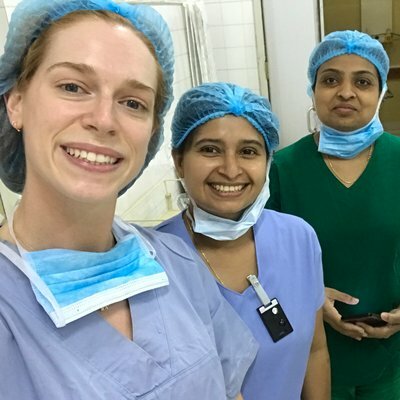 While with the anaesthetics team, I chose my own shifts around the best times of day to see more trauma cases. I made great friends with the doctors I spent time with, and am still in touch with them today! One of the highlights for me was completing a 24-hour duty shift. 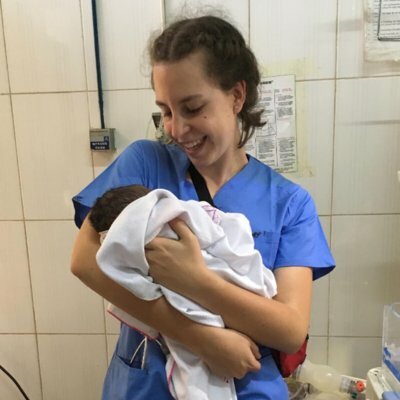 Local doctors work 24-hour shifts, and I thought I’d try and match them. It was eye-opening. 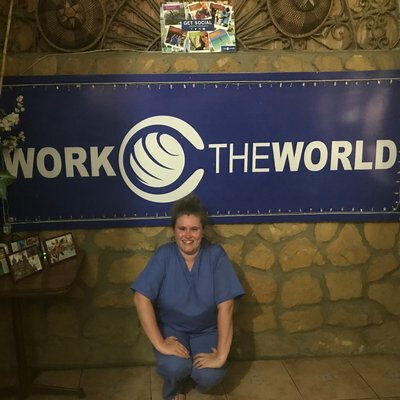 I did Work the World’s Village Healthcare Experience in my final week. Knowing village life would be worlds away from what I’m used to, this was the part of the elective I was most anxious about. 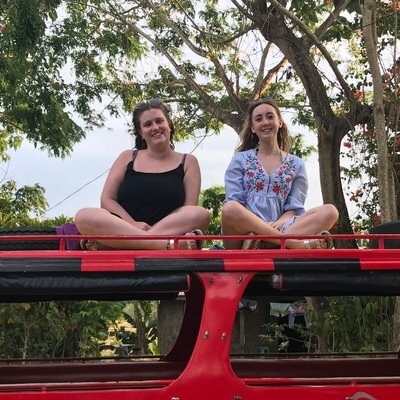 A nursing student happened to be travelling with me that week, and together we experienced what it’s like to practise healthcare in a truly rural environment. Comparing healthcare in the village to healthcare back in the city was fascinating. There were large disparities between the two, despite being close, geographically. We stayed with a local family during our time in the village. Their house was basic, but the family were so welcoming and made us feel a part of the community for the week. I definitely recommend the experience as it really makes you think about your privileges. Outside of the hospital, we had the opportunity to travel at the weekends. The Work the World house staff offered invaluable advice when it came to booking the best deals and places to stay. They even knew places that offered special discounts for Work the World students. I managed to fit in trips to Boracay, Isla Gigantes, Cebu and Antique. I’d thoroughly recommend them all. They were all different from one another with so many different things to do. 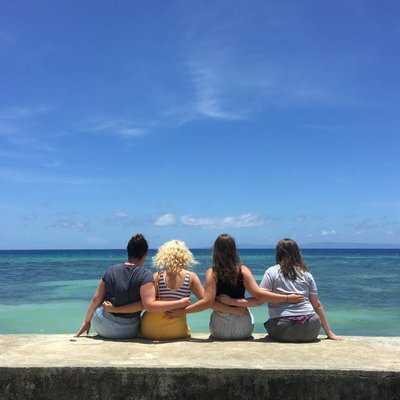 From cliff jumping to helmet diving, and from swimming with whale sharks to being ‘boiled alive’ in a kawa hot bath, I had lots of first-time experiences, checking a few things off my bucket list. Particular highlights were going tubing in Antique, and eating fresh seafood on the beach at Isla Gigantes. During one trip, I injured myself jet-skiing, but the support I got from the Work the World staff was impeccable. They took me to appointments at a private hospital every week. In fact, I can’t fault any of the care I received whilst in the Philippines. As well as these trips that took us further afield, there was a lot to do in the local area too. I became a fan of weekly massages — they were so much cheaper than back home, and a great way to relax after a long day on placement. I thoroughly enjoyed my elective in Iloilo with Work the World. I made so many friends from around the world, as well as with staff and doctors in the Philippines. I can’t wait to return one day. Having never before been away from home by myself, I started my elective with real anxiety. But I returned with a new-found confidence that has helped me to become a better doctor. I also have a renewed desire to travel — I’d started planning my next trip before I’d even landed back in the UK!